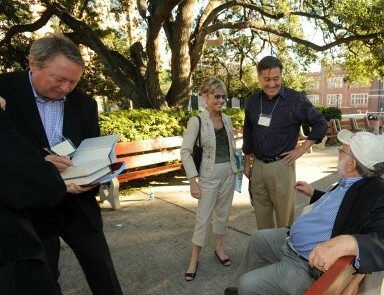 Inspired by Walker Percy’s best-known nonfiction book “Lost in the Cosmos: The Last Self-Help Book,” the Walker Percy Center for Writing and Publishing at Loyola University New Orleans will host its second biennial conference, “Still Lost in the Cosmos: Walker Percy and the 21st Century,” Oct. 11-12. Open to the public, the conference offers a variety of panels and performances focused on Percy’s lively and satirical analysis of the modern condition. The conference begins Oct. 11 at noon in the J. Edgar and Louise S. Monroe Library on Loyola’s main campus and will offer participants an in-depth look at one of the most influential American writers and philosophers of the 20th century. Registration is available online in advance or onsite during the conference. Paul Elie, senior fellow with the Berkley Center for Religion, Peace & World Affairs, will deliver the keynote address Friday, Oct. 11 at 6 p.m. in the Audubon Room, Danna Student Center, second floor. His work deals primarily with the ways religious ideas are given expression in literature, the arts, music and culture. 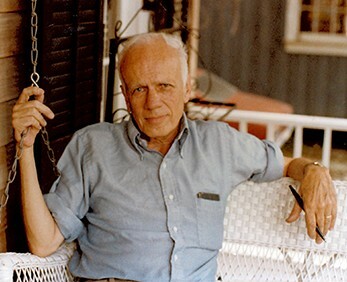 Walker Percy is one of four 20th century Catholic writers featured in Elie’s book, “The Life You Save May Be Your Own: An American Pilgrimage” (2003). The conference also offers panelists an optional visit to St. Joseph Abbey in Covington, La., to view Percy’s grave, Sunday, Oct. 13. The trip will include Mass for those who wish to attend. Information on the conference is available online, including a full schedule of panels. Contact the Walker Percy Center at 504-864-7041 for additional information.